does anyone have any word on the sets that are still missing from the tapers.org ftp server? jackie greene? house band? los lobos? cowan? there are more, i think, but not many. just curious. thanks for any info. hmmm...it would be nice to hear the houseband again, but these guys have already posted most of my highlight sets. Thanks a bunch tapers! Seriously what? I haven't seen any listings from your source. Well, my point is that the first set from Grey Fox is already up, whereas we are missing numerous sets from Telluride still, which was a month ago. 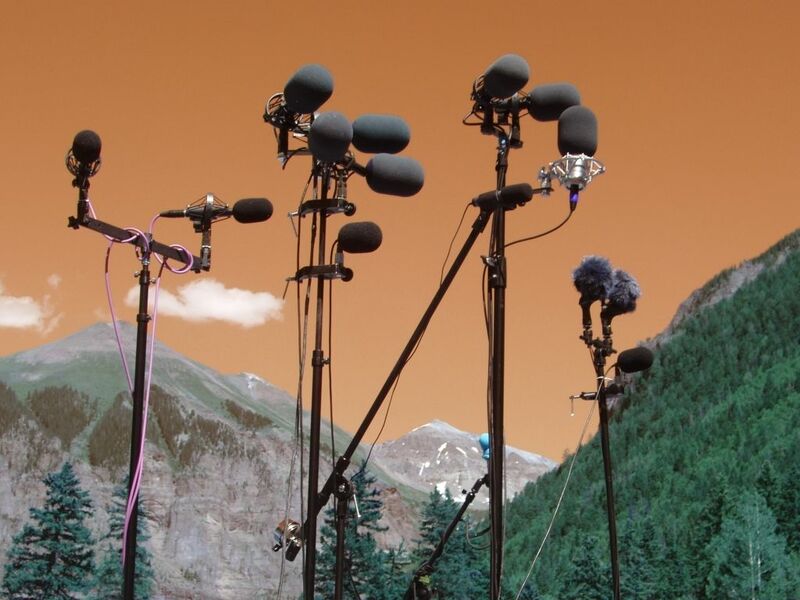 Believe me, I completely appreciate the tapers who have offered up their recordings, here, from Telluride. There were a few performances that I saw that were just unbelievable (Cowan/Emmitt & friends at Sheridan Opera House), and I know there were some tapers there, but nothing has been offered up. It is certainly the prerogative of any tapers to do whatever they want with their recordings. It's just disappointing, since I know there were a LOT of tapers and with the technology these days it's relatively easy to do. I do understans the hours of work that a taper has to go through. I'm saying it's *relatively* easy. Same with, say, Leftover Salmon sets from High Sierra (especially the late night one), and All Good. Where are those? That is a very taper friendly band. I am definitely patient. But as festival season rolls along, the novelty of new sets fades as time passes. e.g., I don't care much about Tim O'Brien's performance at Rockygrass from 2004 any more. Finally, thanks again to all the tapers who put the effort in. I'm not pointing the finger at anyone. Like I said, it's their recordings. Rockygrass starts day after tomorrow! See you on the St Vrain. we are missing? i'm not missing anything. if you really appreciate what you've gotten to this point, that should be good enough. 'relative' is all relative, no? open heart surgery is relatively easy for the surgeon, although i would not attempt it. i'm not sure you do understand the the actual hours committed to get the show to the trader. 'Seriously', based on your posts, i can't buy into the patience part too much. so, if it doesn't come out for 6 months, you won't grab it? not novel enough? there are sets i listen to all the time, but that's just me. i believe all the sets i put up were within two weeks of the festival, on a server that is not free. we anticipate upping the rest of the festival from two other sources. some have posted other sets elsewhere. sorry it has not been fast enough for the entitled. John R - I just want to reiterate that I am so APPRECIATIVE for even one set of music from Telluride since it takes me (and all of us) back to that beautiful canyon. *sigh* How did I know this was coming. John, believe me, I and everyone I associate with (who have been unknowing beneficiaries of your generosity, as they receive your recorded sets through me) are completely thankful. I honestly do know how much time it takes to track out shows, etc, because I have tracked many shows. You have obviously gone way beyond the call of duty with your sharing. Nothing I said was directed at you in any way whatsoever. I tried to carefully word my previous post to express my thanks and appreciation for what people (especially you) have made available thus far. I am a serious collector of this music, and I have 1000s of hours of music. I spend considerable amounts of time sharing this music with other people. I cannot tape (I definitely would) because I just don't have time with two little kids and a small business to run. As I said, I spend considerable time spreading this music around. Not to mention $1000s of dollar a year on festivals and studio produced CDs. I just burned over 50 CDRs worth of Telluride sets for people. For free. Everyone plays a role (everyone is downstream). You seem to think I have an attitude. I do not. I was excited about Leftover Salmon's reunion and other related shows, and I have been looking for them. That is all. If they do not appear for some time (or at all), so be it. Not a big deal. If I see you at Rockygrass, I will definitely buy you a beer. c-dub, you had me at 'Seriously' if you trade as much as you say, then you know what we're up against. water under the bridge. let's move on.